The NMFS proposed listing the Hawaiian population of false killer whales as an endangered species. Learn more about what scientists know of this species and the threats that they face in the article that follows. Scientists conduct research for many reasons. 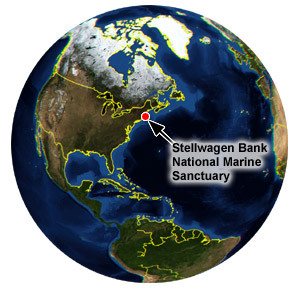 In the National Oceanic and Atmospheric Administration's Stellwagen Bank National Marine Sanctuary, the most important reason is conservation. Dr. David Wiley, Research Coordinator for the sanctuary, explains that what scientists in the Sanctuary do is identify conservation problems such as ship strikes--collisions between boats and whales--and then do research to help find solutions to the problems. 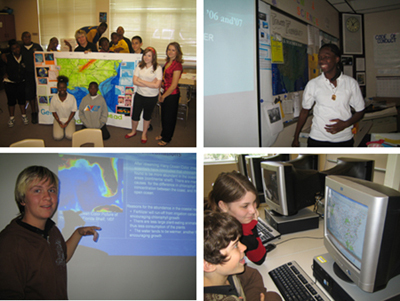 Students at Brewton Middle School learn about the ocean and integrate math concepts. 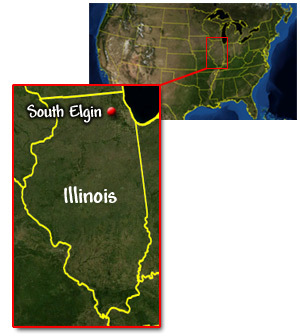 June 15, 2009 Students in South Elgin, Illinois are Excited About ACES! The seventh grade students in Mrs. Kielbasa's and Mrs. Cebulski's science classes at Kenyon Woods Middle School in South Elgin, Illinois are excited to be taking part in the ACES program during the 3rd and 4th quarter this year. 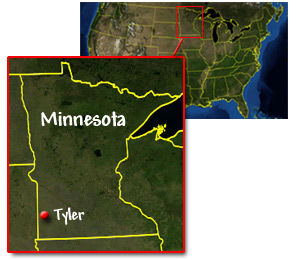 Students in Leanne Carmany and Kitsie Carr's Environmental Science class at Russell-Tyler-Ruthton High School (Tyler, Minnesota) have spent the last few weeks outside of the realm of typical classroom lectures, note taking, and testing by exploring the Signals of Spring - ACES curriculum. 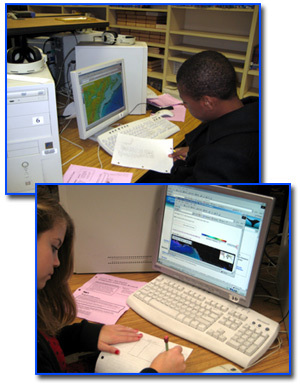 May 28, 2009 Students at Eleva-Strum "Visit" the Ocean! 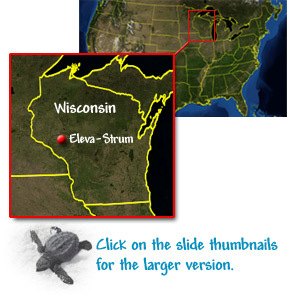 Middle-school and High School students in the Eleva-Strum School District are visiting the ocean without leaving west-central Wisconsin. 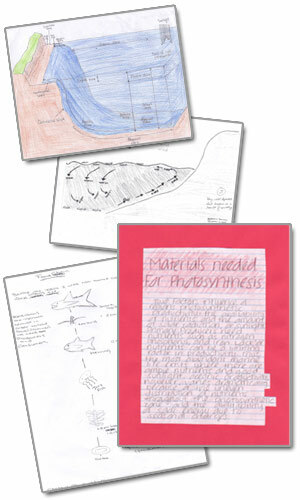 Seventh graders at Matilijia Junior High School in Ojai, California, have been using the ACES curriculum to learn all aspects of science, from photosynthesis to seasons, ocean currents to pressure, bathymetry to food webs. 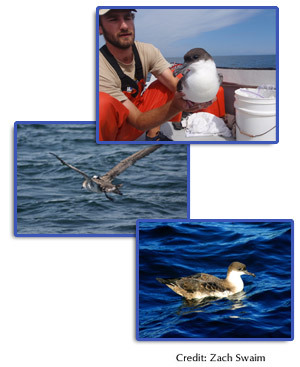 Exciting new partner, The Large Pelagics Research Center joins the Signals of Spring team. Look for new data on the Bluefin tuna. 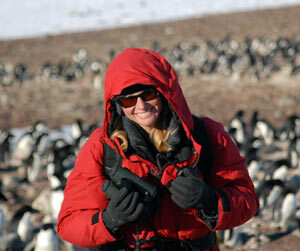 On January 23, 2009, ACES partner scientist Ms. Michelle Hester held an exciting webcast live from Antarctica. Ms. Hester, President of ACES partner Oikonos Ecosystem Knowledge www.oikonos.org, discussed some tagging work she has been doing with a group called Penguin Science www.penguinscience.com. 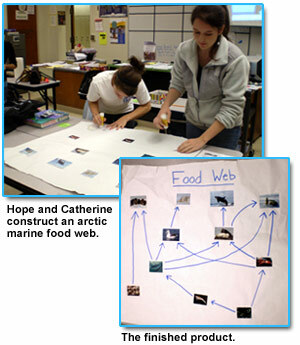 February 09, 2009 Students in Little Rock, Arkansas, explore Arctic Marine Ecology with the help of ACES. Students at Little Rock Central High School recently completed an after-school science enrichment program utilizing the ACES Signals of Spring Curriculum. 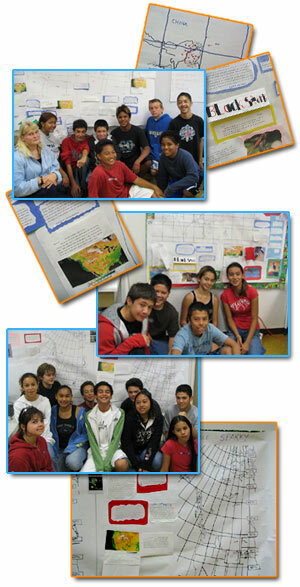 On December 10, 2008, ACES students were treated to a special event! December 10, 2008 Exciting New Partnership! 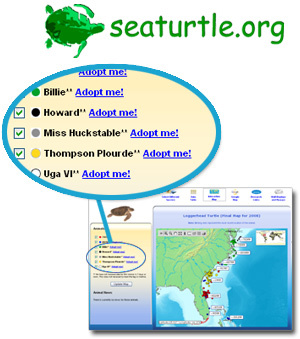 The ACES team is pleased to announce an important new partnership with seaturtle.org. ACES teacher, Mrs. Grima-Lowe and her 7th grade students from Willowside Middle School in Santa Rosa California recently paddled the Russian River on a kayaking adventure. Students at The Computer School in New York City learned first-hand that the Hudson River may not deserve its grimy reputation. 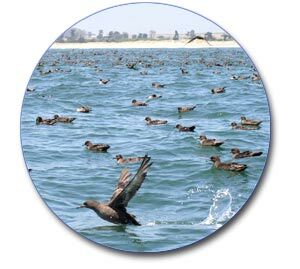 The Greater Shearwater is one of the most abundant seabirds in the world. Signals of Spring - ACES partner Dr. Rob Ronconi of Dalhousie University and the Grand Manan Whale and Seabird Research Station explains that the satellite tagging work has yielded a few surprises! 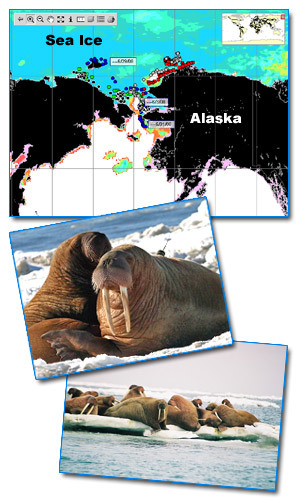 October 21, 2008 USGS Studies the Impact of Global Climate Change on Walruses in the Arctic! Global Climate Change is very real, particularly in Earth's Polar Regions. Signals of Spring - ACES scientist Dr. Chad Jay discusses how tracking walruses can help us to understand how these animals will survive. After the Summer 2008 ACES training held at Stanford University, teachers got a special treat. 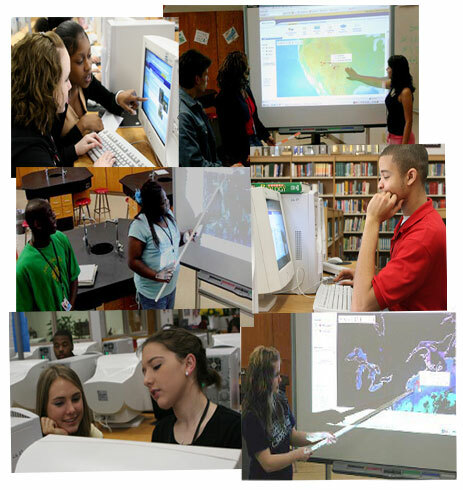 Freshmen Biology students at Eastbrook High School in Marion Indiana successfully connected with the ocean despite their geographical distance. Although they have just begun their animal investigations, Signals of Spring- ACES students at Wings Academy in the Bronx, NY, have already learned a lot! May 15, 2008 Signals of Spring Students Soar with Scientist! On Friday May 2, Signals of Spring students from coast to coast attended a live webcast with Dr. David Hyrenbach, an ACES collaborating scientist. May 05, 2008 STAGE Participant Soars with Signals! Mrs. Drake shares her wonderful experience with STAGE. 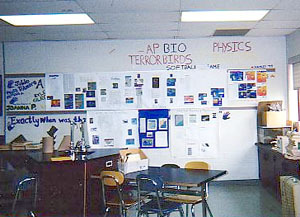 Through her success with the course and implemenation of the Signals of Spring curriculum, she provides her students at Trimble County Middle School uniquely excellent learning opportunities. March 31, 2008 A Bank in the Ocean? 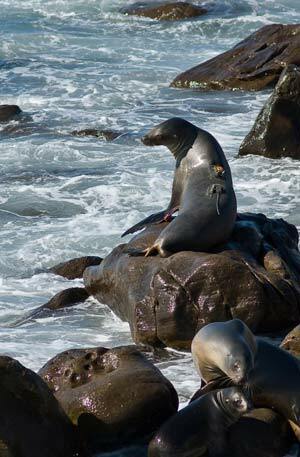 Just north 50 miles north of San Francisco, CA, lies one of the richest marine habitats in the world. So special, it was nationally recognized in 1989 as a National Marine Sanctuary by the National Oceanic and Atmospheric Administration (NOAA). 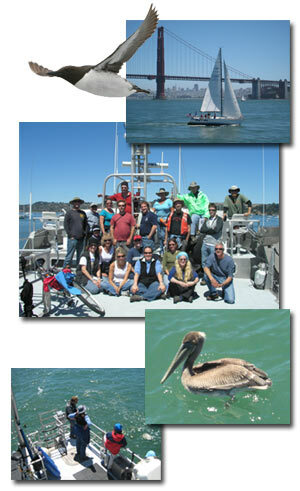 Scientists from the Tagging of Pacific Predators Project are now working with Signals of Spring - ACES! Learn more about some of their interesting projects . . .
As our planet warms, Signals of Spring scientist partners are studying polar bears and how the changes might affect this fascinating species. 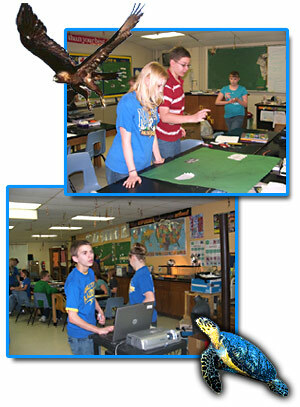 May 14, 2007 Webcast 2007: "Bringing Science to Life"
Wildlife biologist, John Whissel presented his exciting research with Signals of Spring students in an engaging online class. 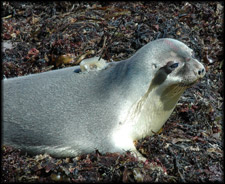 Signals of Spring partner WhaleNet provides new data on Hooded Seals and continues their excellent work in marine mammal conservation. April 16, 2007 Soaring with Signals at Camden Fairview High! Mrs. Vaughan's 10th grade students at Camden Fairview High School (Arkansas) are truly enjoying Signals of Spring this season and learning valuable skills! 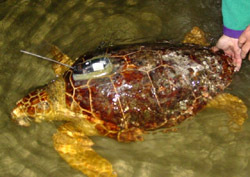 April 02, 2007 Tracking the Juvenile Loggerhead - A True Survivor! 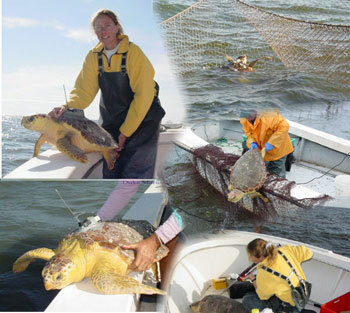 Ms. Catherine McClellan, PhD student at Duke University Marine Laboratory, studies juvenile loggerhead sea turtles and their interactions with inshore fisheries. 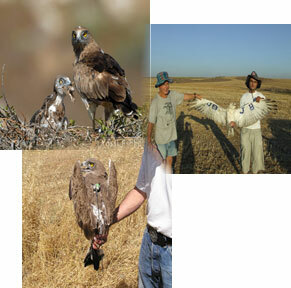 March 18, 2007 Teaming up to Track Short-toed Eagles! Long-time Signals of Spring partner, HawkWatch International, is working in collaboration with graduate student Sameh Darawshi of The Hebrew University of Jerusalem and Tel Aviv University in Israel to track and study the Short-toed Eagle. Scientists Dorothy Cooley and Martin Kienzler of the Porcupine Caribou Herd Satellite Collar Project based in Yukon, Canada share the exciting job of capturing, collaring, and tracking the Porcupine Caribou herd in order to understand their migration patterns, population dynamics, and use of the land. 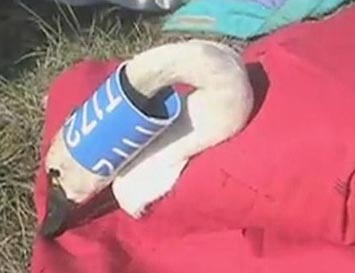 The Swan Research Program tracks tundra and trumpeter swans to understand their migration. 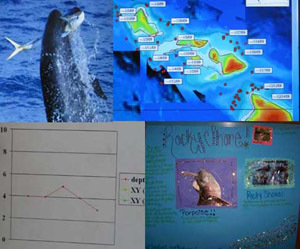 Each year, thousands of students track the movements of land and marine animals, making connections between the animals and Earth processes. June 01, 2006 2006 Poetry Contest Winners! Learning about animal movements sure inspires some amazing writing. Signals of Spring students submitted over 150 poems this season, the most ever! Find out who won! Waimea Middle School, a NASA Explorer School located on the Big Island of Hawaii is going strong with its first season with Signals of Spring. Find out about the connections Mrs. Noetzel and her students have made with the animals this season. 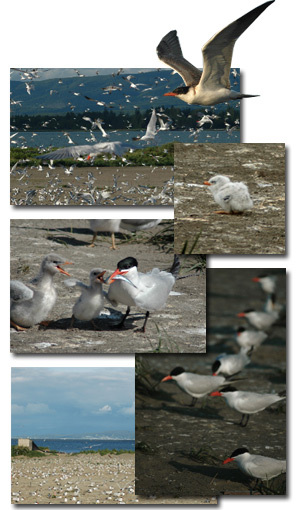 The largest colony of Caspian Terns in the world, approximately 9,000 breeding pairs, is found along the muddy banks and the sandy islands at the mouth of the Columbia River in Oregon. Why is Caspain Tern population increasing here, while declining globally? Last week, scientists from the International Crane Foundation, and student from across the nation joined us for this year's Signals of Spring webcast. The population of Greater and Lesser Scaup has declined by 50% since the 1980's. 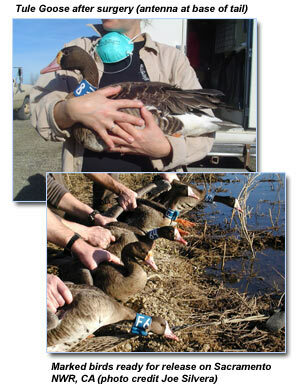 Dr. Scott Petrie, Director of Research at Long Point Waterfowl and Wetlands Research Fund in Ontario, Canada studies the cause of this diminishing population. The Glaucous Gull is not shy about taking a free meal and will scavenge food from landfills or fisheries, given the opportunity. 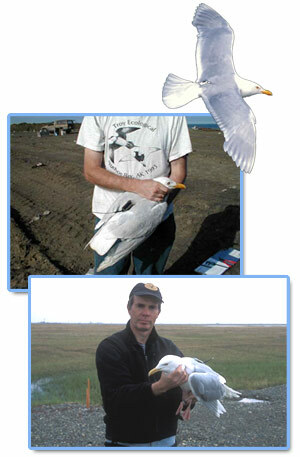 Mr. Declan Troy, of Troy Ecological Research Associates, studies the relationship between management of waste and foraging behavior of the Glaucous Gull. 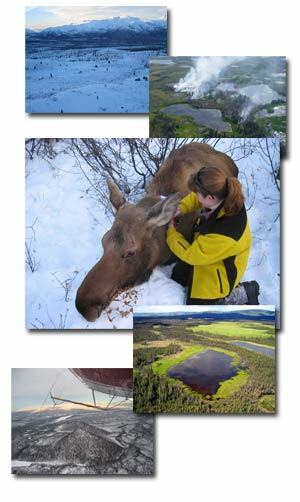 Signals of Spring is pleased to add the moose to the list of species that students can track by satellite! With only about ten thousand birds, Tule geese form one of the smallest populations of geese in North America. Watch a video of Mike Petrula and his colleagues at the California Dept. of Fish and Game capturing the geese for tagging! March 27, 2006 Following the Leatherback Sea Turtles! This season, follow the worlds most endangered Sea Turtles with Signals of Spring. 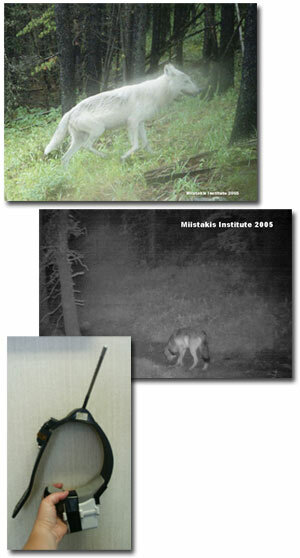 March 20, 2006 Tracking Wolves! Learn about tracking one of Signals of Spring's newest animals - the Gray Wolf! March 12, 2006 Tracking Birds and Poisons! 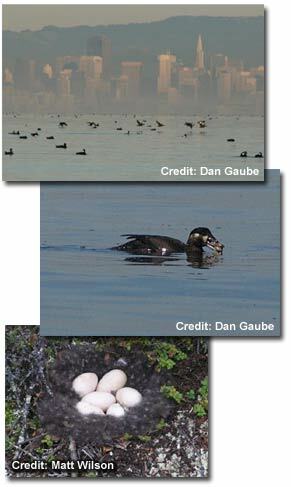 Tracking Surf Scoters helps scientists to understand how pollutants affect these birds. 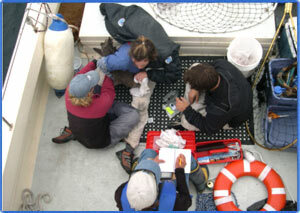 Signals of Spring students often ask about how scientists go about tagging and tracking animals. It is not always an easy task as scientists must contend with weather conditions, transportation issues, and uncooperative animals! 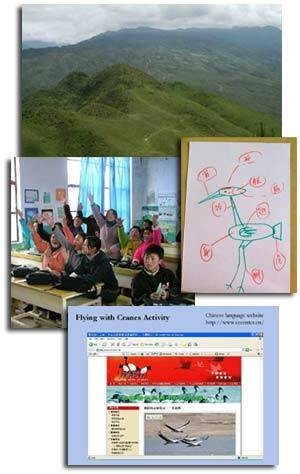 Dr. Li Fengshan of the International Crane Foundation shares field notes about tagging one of the birds. February 04, 2006 New Maps this Season! The 2006 season offers a new and improved interactive mapping system! August 05, 2005 Track Albatross Across the Pacific! 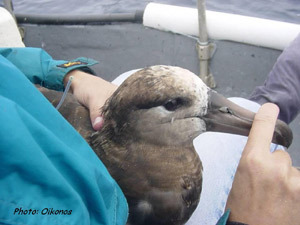 In a new tagging study, one Black-Footed Albatross has already traveled 5000 km! 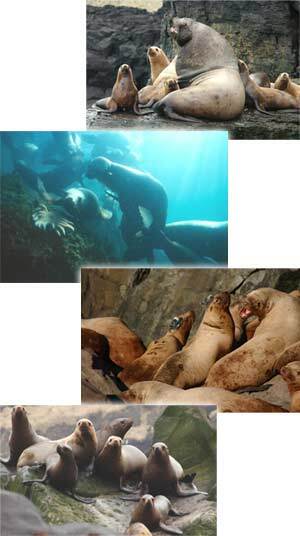 Steller Sea Lion populations are dwindling fast. 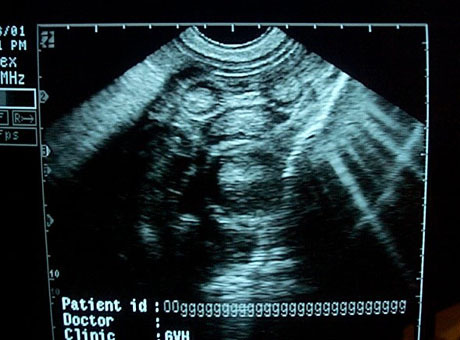 Can our collaborators at the University of Alaska find out why? Scientists and students in the U.S. and in China are tracking the Black-necked crane this spring. 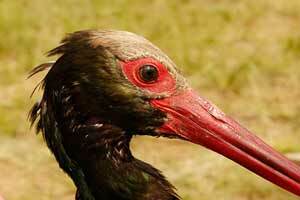 What can we learn about these beautiful birds? 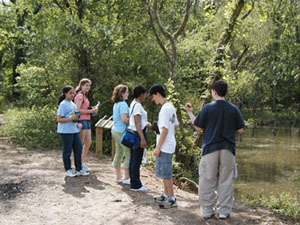 Seventh graders at Poplar Middle School, a NASA Explorer School, are excited about Signals of Spring and predicting where the birds will go! 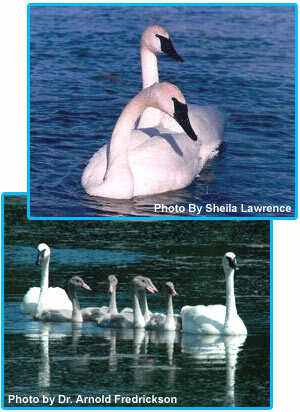 We are focusing on a new collaborator, the Trumpeter Swan Society, and the important work they do. The main objective of the Society is to provide understanding of the species and to help the birds to enjoy a healthy existence. Signals of Spring is delighted to announce one of the first international partnerships as we start to track animals around the globe! 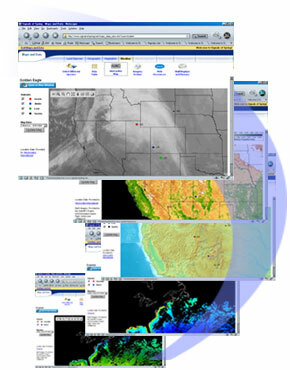 Newly designed Signals of Spring 2005 offers a new and improved online Analysis Journal interface for Spring 2005! 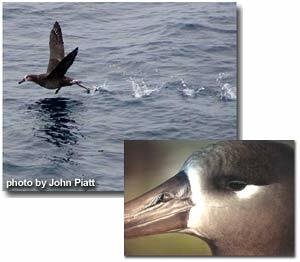 Although Black-footed Albatross live in the open ocean of the North Pacific, they are affected by our actions and the decisions we make in our daily lives. Learn how Signals of Spring partners are learning more about this interesting species. September 14, 2004 New for Fall 2004! For the first time, Signals of Spring is tracking animals headed south of the equator. May 13, 2004 Journal Analysis Show Exciting Movements! The content in the analysis journal entries of student teams reveals great observations and analysis. See the exciting elements that go into well done observations and analysis! April 18, 2004 NASA Explorer School, Learning with Signals of Spring, Receives Special Visit! Students at the Chapman School in Sheridan, Oregon are visited by NASA Administrator, Sean O'Keefe. This is the school's first year of implementation of Signals of Spring. Meet some of our scientists, and how they help students to learn even more from their research. 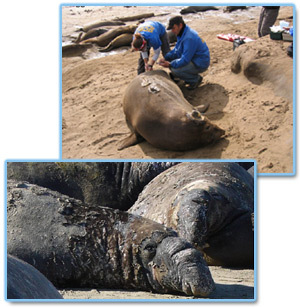 March 29, 2004 Track Monk Seals in Hawaii with Our New Collaborating Partner! Together with our newest partner, the Hawaiian Monk Seal Research Program, Signals of Spring students can now begin tracking the movements of Monk Seals! Mrs. Sior’s students prepare to track harbor seals, loggerheads, eagles, and more! Before the bald eagles start making their spring moves, learn about bald eagle history and Peter Nye, of the New York Department of Environmental Conservation. March 03, 2004 Sea lions and turtles and whales, oh my! Learn about WhaleNet, one of Signals of Spring’s collaborating partners, and the many animals that they track. Channel your creativity and win a prize . . . The 2004 poetry contest is here! 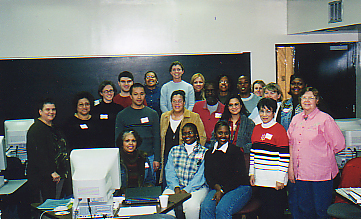 February 22, 2004 Join Us Next Year in CT! 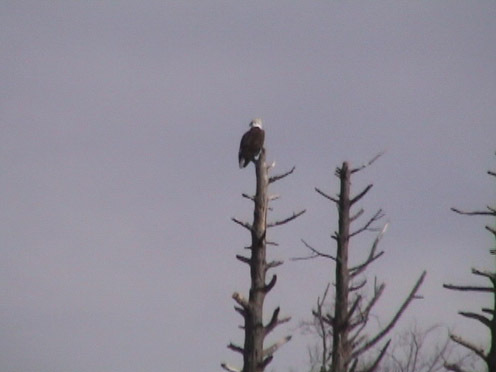 At the Sixth Annual Bald Eagle Festival site in Essex, CT, three schools get a great start to the migration season. 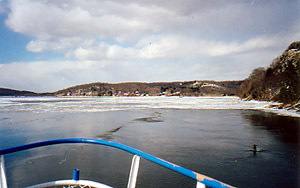 For the 4th consecutive year, students from Newark, NJ, fill a boat and cruise the Connecticut River to see wintering bald eagles in their natural habitat. Want to join Signals in '05? Learn about HawkWatch International, our longtime partner . . ..
Ninth graders at Nyack High School present their Signals of Spring research at their First Annual Symposium. We welcome our teacher collaborators in West Virginia, true to student inquiry and problem-based learning! Over 500 teachers will utilize Signals of Spring maps and data and investigate real world applications for science in the classroom this summer. Signals of Spring has formed an exciting new partnership with the University of Central Florida Marine Turtle Research Group. 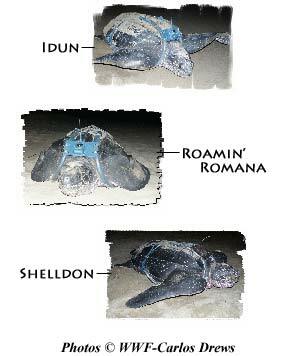 This research team, led by Dr. Lew Ehrhart and Dean Bagely, uses satellites to track sea turtle movements. April 25, 2003 Turtle Tracking with Duke Marine Lab! This spring, Signals students are tracking two new Loggerhead turtles. See what scientists are studying at the same time . 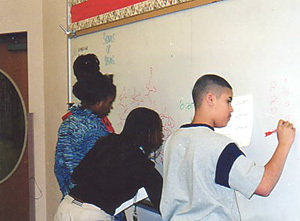 . .
A way to increase student achievement starts with utilizing interesting, engaging classroom material. This is why student achievement in math is targeted with Signals of Spring's animal and NASA materials. Our newest bird collaboration is with the cooperation of Dr. Matthew Perry and his team of wildlife biologists from the United States Geological Survey's Patuxent Wildlife Research Center! 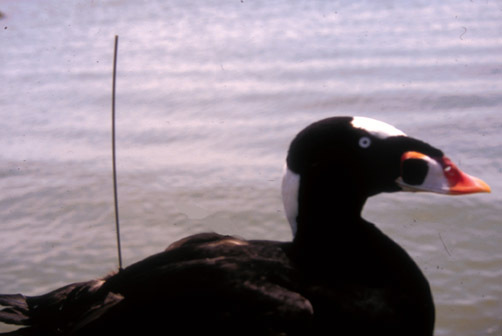 Three species are their focus: Surf, Black, and White-winged Scoter. Signals of Spring is tracking 2 out of 3 with them (Surf and Black). 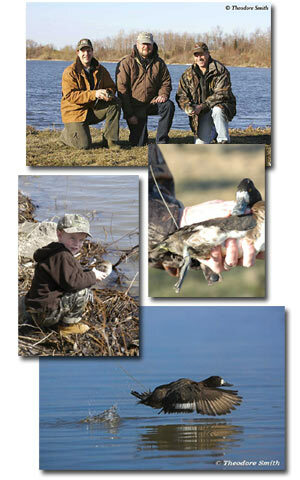 Their work is a leading effort for "Waterfowl Conservation." Newark, NJ Public Schools brought 150 onto a research vessel to see wintering bald eagles in their natural habitat! 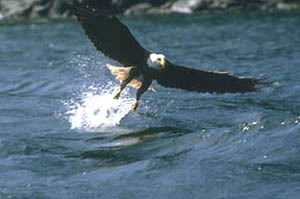 Offered by Connecticut Audubon EcoTravel, the third year of the Connecticut River cruise yielded 60 sightings of bald eagles! The Houston Independent Public School District is in the midst of its 4th year with Signals of Spring. The latest group of participating teachers is featured and comes from over 10 middle schools in the District, where Signals of Spring is focused in the 7th grade. 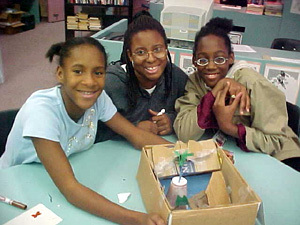 January 14, 2003 Spotlight On: Stuart-Hobson Museum Middle School, Washington D.C.
National Geographic Partnership heats up with these 7th graders as they impress kids and adults with their knowledge . . .
Students in the Discoverquest Saturday Program have taken Signals of Spring investigations a step further--with field trips, guest lecturers, and festivals. As our marine animal investigation with National Geographic gets into full swing, learn how Todd Gedamke, another of our scientist partners, became a marine biologist. Interested in becoming a scientist? 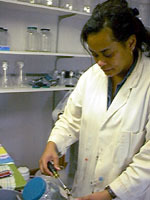 Dr. Deidre Gibson, a marine scientist, tells how her career path led her to her current research. For Sea Surface Data, there exciting NASA TOPEX and ERS-1 data to illustrate Sea Heights. Students can look at new relationships to animal location and movement. In their second year with Signals of Spring, students at Alice Deal JHS prepare to track both land and marine animals this spring. 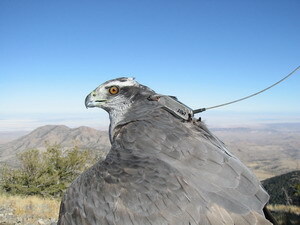 It's time to start tracking Red-Tailed Hawk migrations! Learn more about HWI, our collaborating partner . . . The Northern Prairie Wildlife Research Center is providing Signals of Spring with Sandhill Crane data. 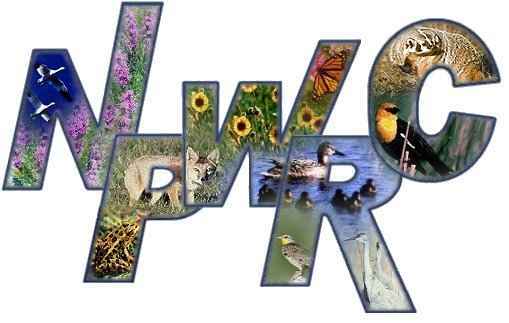 Learn more about NPWRC research. 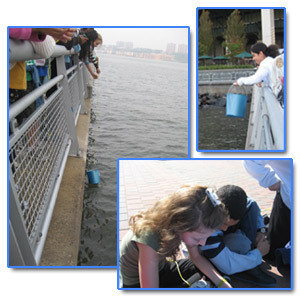 Bayside High School in New York City has now used Signals for two migrations&##151; Sandhill Crane and Osprey last spring, and Loggerhead turtles in the fall. Signals of Spring’s new online program will allow teachers nationwide to be trained and to participate with their classrooms every spring.